I am the biggest fan of Christmas. As I type, I have a Christmas episode of one of my favourite programs on in the background and most of the films on the Christmas film channel are already pre-recorded. The minute I am back from my summer holidays I am already planning the festive season, much to the annoyance of my loved ones. 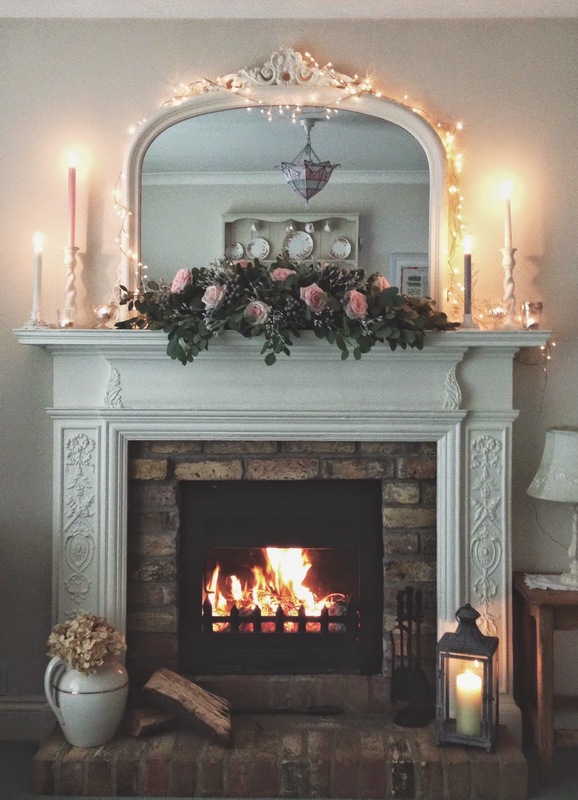 I do, however, try to pace myself until after we have enjoyed bonfire night in all its woodsmoke and caramel-y glory or I fear I might burn myself out before the first advent door is opened! I have been sketching and planning and dreaming of Verity & Thyme's first Christmas in Liverpool for some time now, and I am so excited to be able to share it with you finally. The lovely ladies at Oh Me Oh My have welcomed Verity & Thyme into their arms this December and it is such a pleasure to spend the festive season in such a beautiful venue. I am delighted to be running a handful of Christmas wreath making and table arrangement workshops this year; a place I hope you can come to escape the madness of the high street and spend some time creating something really beautiful for your home amongst the twinkling lights and relaxing music of Oh Me Oh My. I have been collecting bundles of vintage french lace, luxurious velvet ribbon and all manner of sparkly bits and bobs to adorn wreaths and table centres for the workshops, and selecting the loveliest foliages and herbs to incorporate into them too. 'Old English romance' is the phrase I often find myself using when describing the Verity & Thyme style, and those beautiful soft pinks, muted greys and silvery foliages I am so often drawn to will be at the forefront of my Christmas colour palette this year. However, it wouldn't be Christmas without the more traditional red and green of the season, so expect to see deep wine reds and fresh forest greens amongst the fresh arrangements and gifts too. If you are unable to make a workshop however, the great news is that Verity & Thyme will be at Oh Me Oh My for the whole of December! 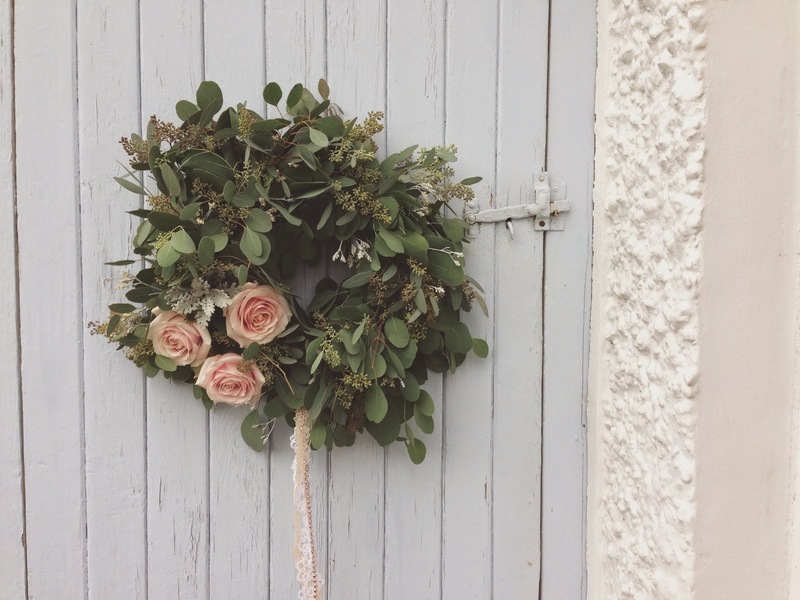 From the 1st - 22nd, you will find handmade wreaths, home decorations, gifts and cards for sale at our pop-up from Monday to Friday, where you will also be able to order any fresh festive arrangements or wreaths for your home. Come and enjoy a cup of tea and a festive treat whilst browsing lots of lovely Christmas wares, surrounded by the glittering Christmas tree and happy chatter of this grand tea house. I have no doubt it is going to be the most wonderful time of the year...!